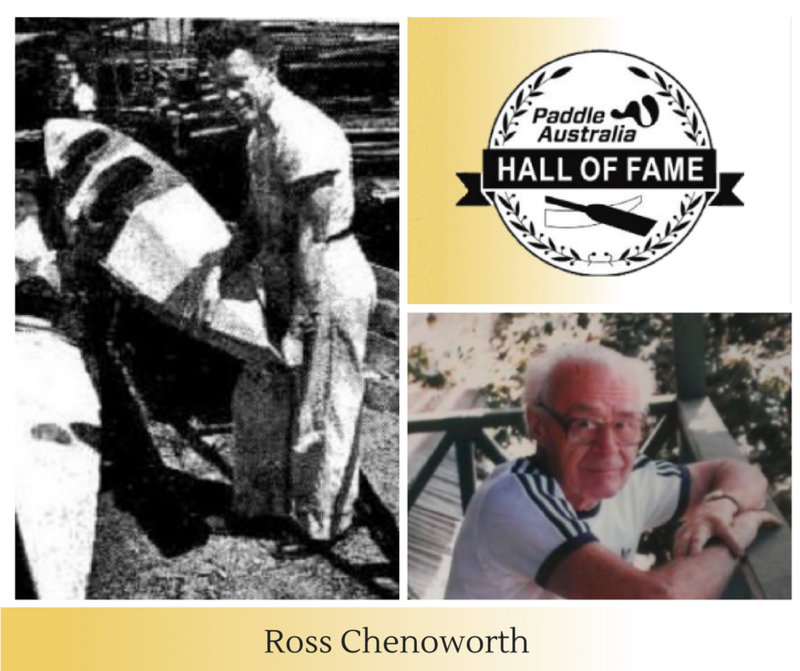 Ross Chenoweth was one of Australian Canoe Federation founding fathers. In 1947, Ross proposed to the State’s for the formation of a canoe federation in Australia. From this proposal, on 10th September, 1949 the Australian Canoe Federation was established. From 1949 – 1964 Ross was the inaugural Hon Secretary and Treasurer, he continuously held this position for 15 years! During the 1956 Melbourne Olympic Games, Ross was the Competition Secretary and became a member of the Olympic Council that same year. Ross continued his work at the Olympics as Section Manager for Canoeing at the 1964 Tokyo Olympics. Ross continued his involvement in events and officiating and for many years was the Competition Secretary for Australian Canoe Championships. Ross was the co-founder of the Victorian Amateur Canoe Association (VACA) which is now known as Canoeing Victoria. He then went on in 1956, to be founder of Ivanhoe Northcote Canoe Club where he held the position of secretary for over 25 years. For Ross’ years of service he has been awarded life membership at Ivanhoe Northcote Canoe Club, Victorian Amateur Canoe Association and Australian Canoe Federation in 1971.